Demand forecasting is often difficult due to the unobservability of the applicable historical demand series. 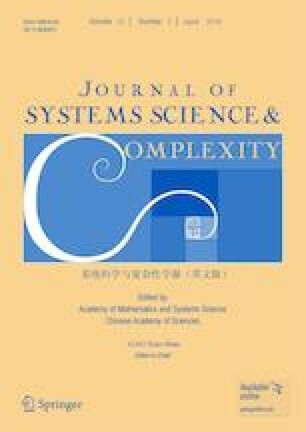 In this study, the authors propose a demand forecasting method based on stochastic frontier analysis (SFA) models and a model average technique. First, considering model uncertainty, a set of alternative SFA models with various combinations of explanatory variables and distribution assumptions are constructed to estimate demands. Second, an average estimate from the estimated demand values is obtained using a model average technique. Finally, future demand forecasts are achieved, with the average estimates used as historical observations. An empirical application of air travel demand forecasting is implemented. The results of a forecasting performance comparison show that in addition to its ability to estimate demand, the proposed method outperforms other common methods in terms of forecasting passenger traffic. This research was supported by the National Natural Science Foundation of China under Grant Nos. 71522004, 11471324 and 71631008 and a Grant from the Ministry of Education of China under Grant No. 17YJC910011. This paper was recommended for publication by Editor HUANG Haijun.